When it comes to choosing dental care products for myself, I find it quite difficult. For a start I really do not like the mint flavours. Mint is one of those tastes that I just don&apos;t like and especially not stronger minty tastes. I also have slight sensitivity and get paranoid about bad breath. 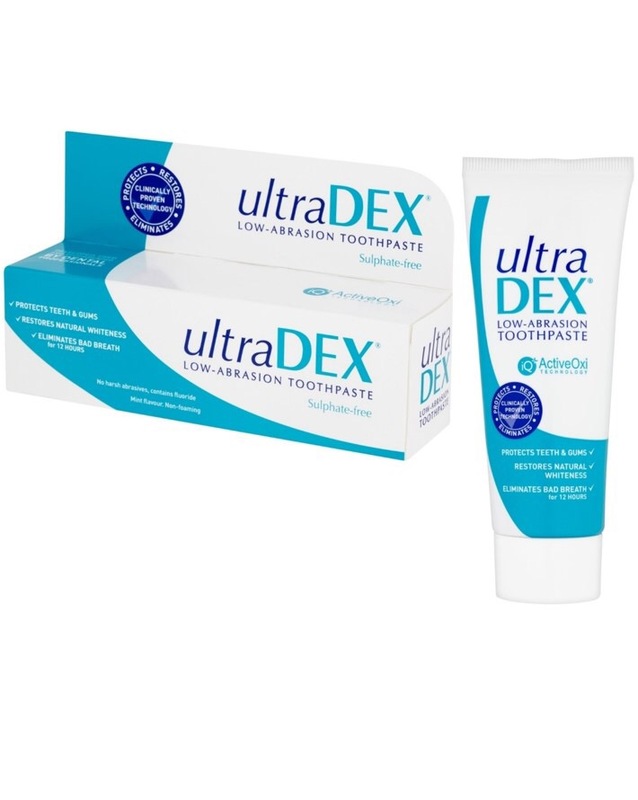 I had my doubts about the claim of Ultra Dex products as the daily rinse mouthwash claims to give 12 hours fresh breath. Usually I find most mouthwashes give half an hour until those nasty mouth tastes start coming back. The mouthwash contains a new IQ+ ActiveOxi technology which is proven to eliminate bad breath compounds. What makes this mouthwash even better is that it comes unflavoured and therefore no strong minty tastes. There is an optional satchet of mint flavouring that can be added to the bottle if you wish but this won&apos;t be going on mine. There is a slight flavour to it, unsure how to describe it but for me it&apos;s much better than anything minty. So I&apos;ve been using the mouthwash over a week now. I&apos;m very surprised at how effective it seems at really eliminating bad breath and bad tastes in my mouth. It really does last much longer than other similar products. I&apos;m not sure if it&apos;s 12 hours because that&apos;s a long period to keep track of, but I do find that I only need one rinse per day, followed by another rinse at night time before bed. Even after eating, my mouth still tastes fine. The mouth rinse comes in 4 sizes 100ml – 1000ml starting at £3.25. It really is worth giving this a go, now I&apos;ve found this I won&apos;t be going back to any others. This does have a slight mint flavour but it&apos;s not too strong or overpowering so my palette can handle this one. It&apos;s more gentle than other toothpastes and the low abrasiveness means it won&apos;t remove any tooth protection. This also gives the 12 hour bad breath protection. The price for a 75ml tube is £6.15. And for on the go breath freshness when out and about or travelling is a Fresh breath oral spray. This is a quick giz breath freshener,a slight minty taste again but nothing too strong for me. This is great for taking to work or interviews and costs just £3.50. 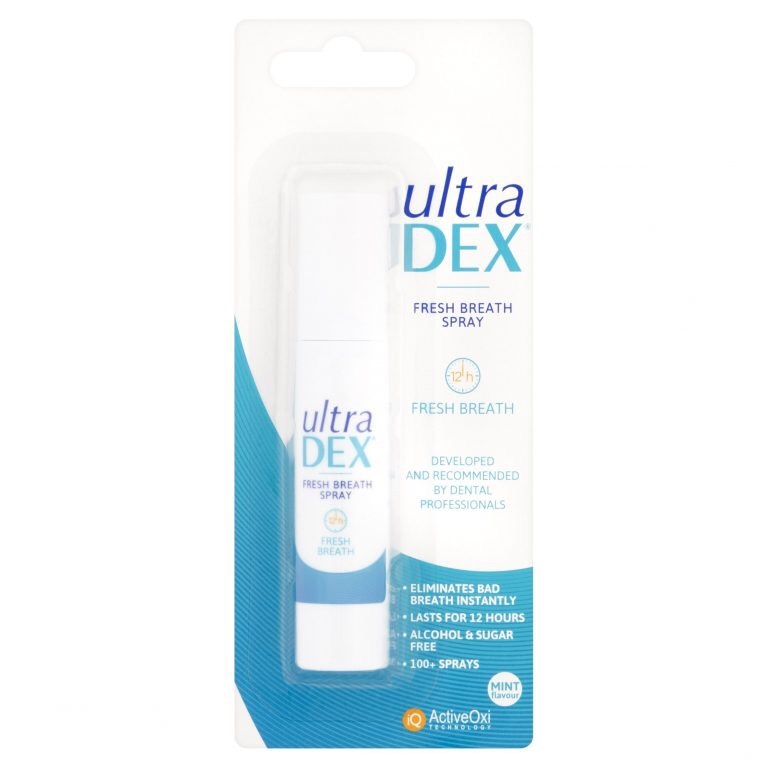 UltraDex products can be found in Boots, Sainsbury&apos;s and Amazon.